Are you ready to do the time warp again? Time traveling is a staple of the sci-fi genre (you just have to look at DC's Legends of Tomorrow for an example) and it looks like NBC want to take this tried and tested format for their new Timeless series this Fall. 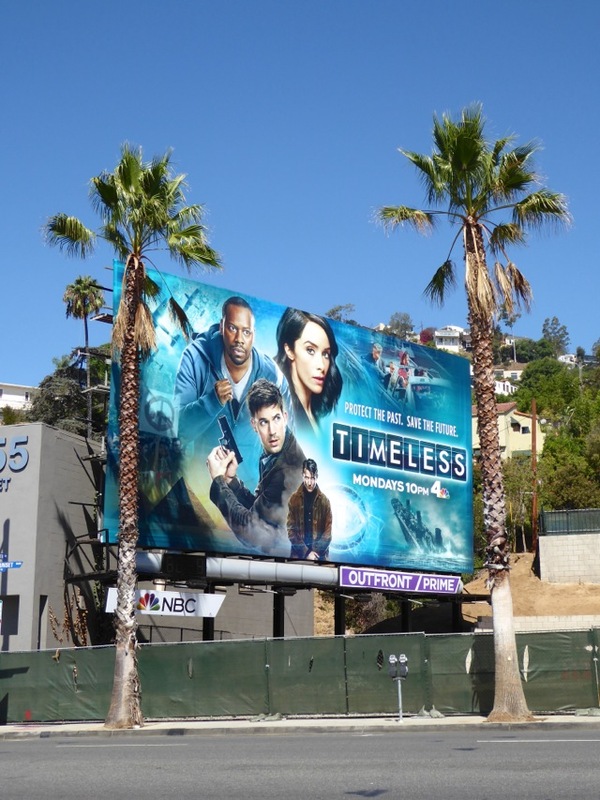 Goran Visnjic stars as a master criminal who steals a time travel machine and escapes into the past with the intention of changing the course of American history and destroying the country. 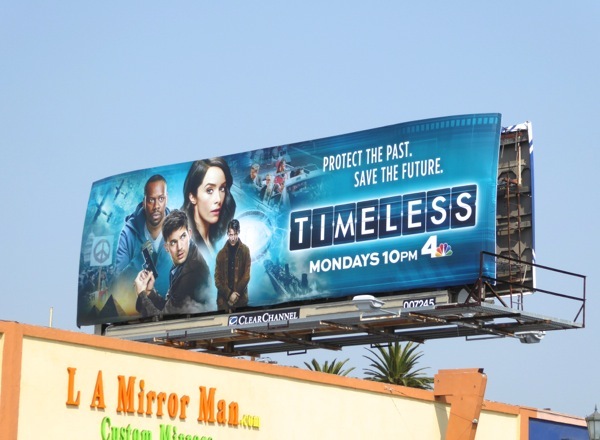 Abigail Spencer, Matt Lanter and Malcolm Barrett are the unlikely team of a history professor, soldier and scientist assembled to go back in time after the villain and protect history (and the present). First stop on their adventures will be the Hindenburg disaster, the infamous crash of a German passenger airship in 1937 New Jersey. 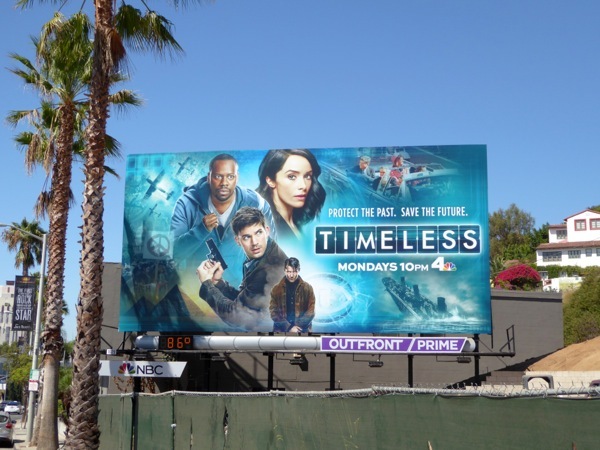 The show sounds interesting, but let's hope this series simply doesn't become a 'time period-of-the-week' procedural and there's something fresh and original about the premise. 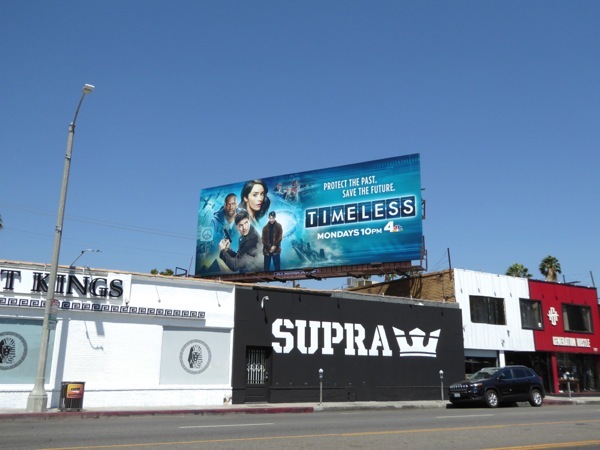 These series launch billboards were first snapped along the Sunset Strip in West Hollywood on August 15, then later along La Cienega Boulevard on August 25 and Melrose Avenue on September 6, 2016. 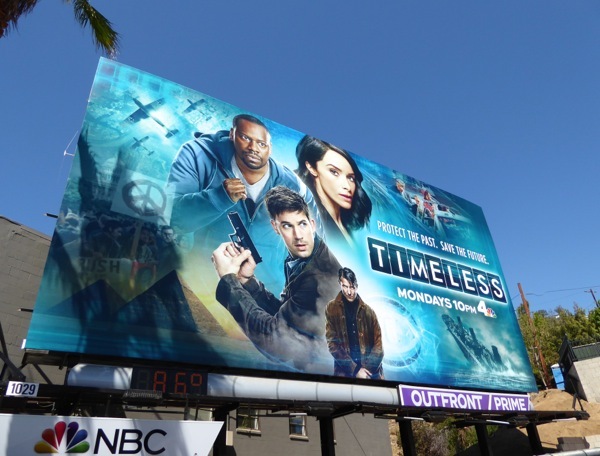 This action-packed montage ad creative brings to these Minority Report TV billboards from last year and this Crisis TV show billboard from 2014 (and we know how well they both ended). 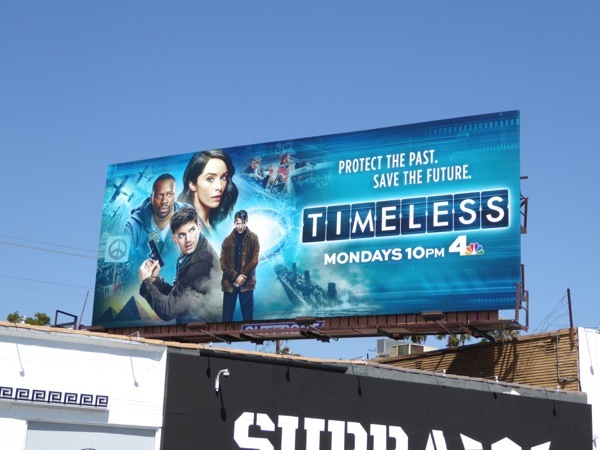 Network television always seems to want to dumb down science and science fiction for the masses, so here's hoping Timeless will be an innovative TV show worth your time this Fall season.